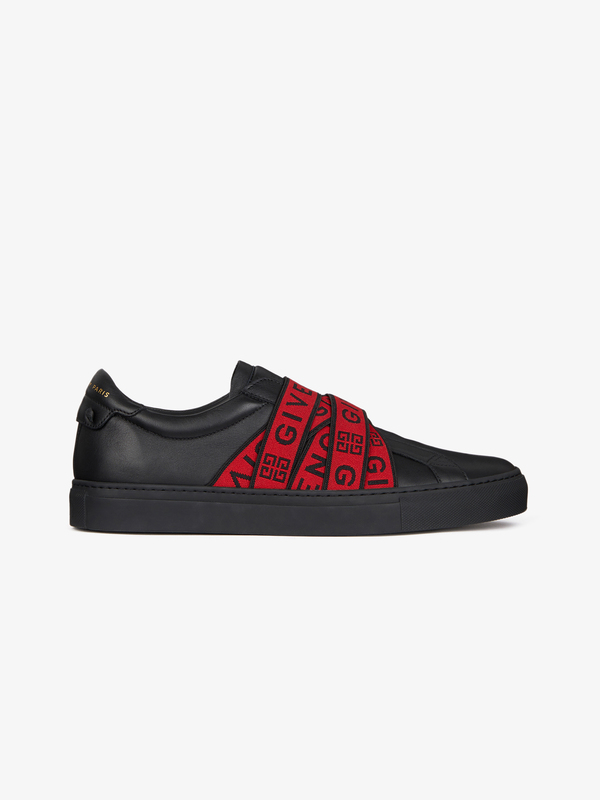 Urban Street low-top sneakers in smooth black matte leather with multiple red and black elastic GIVENCHY 4G jacquard bands. 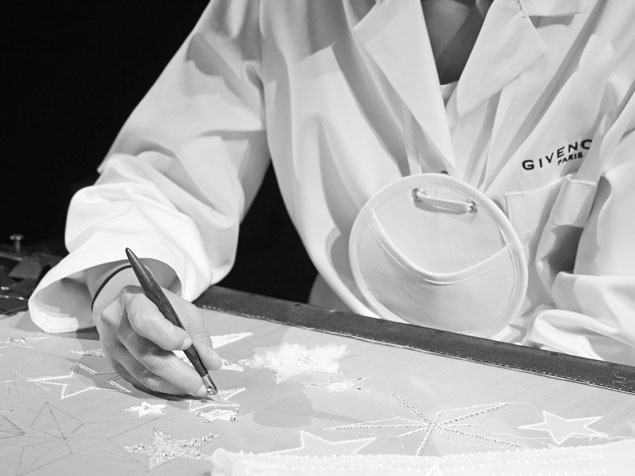 Tone-on-tone leather inset on the back with gold GIVENCHY PARIS signature and knots. Black insole.